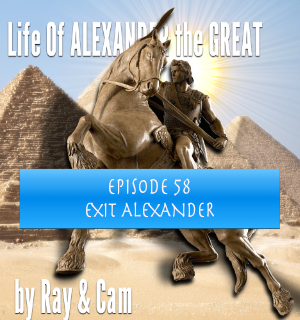 In May 323, a week before his intended invasion of Arabia, Alexander throws a party to celebrate the announcement by the oracle of Zeus Ammon at Siwah that Hephaestion is to receive a heroic cult. He is then invited to an after party attended by twenty of his inner circle. He drinks a massive cup of wine – and collapses in pain. Eight days later, the king of the world is DEAD.